The new and improved Gidget 2 has arrived! 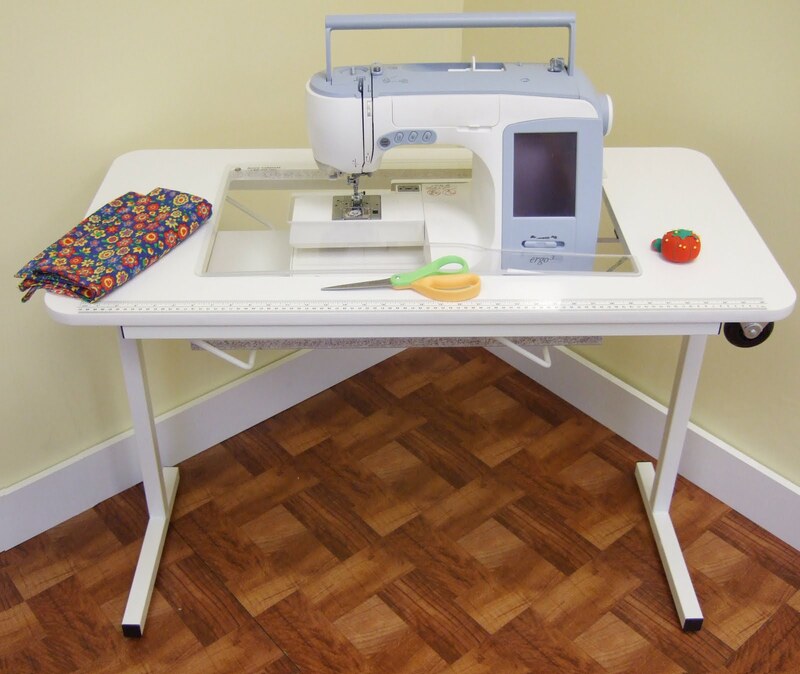 We have made some design changes to make the classic Gidget sewing and crafting table more portable and versatile. 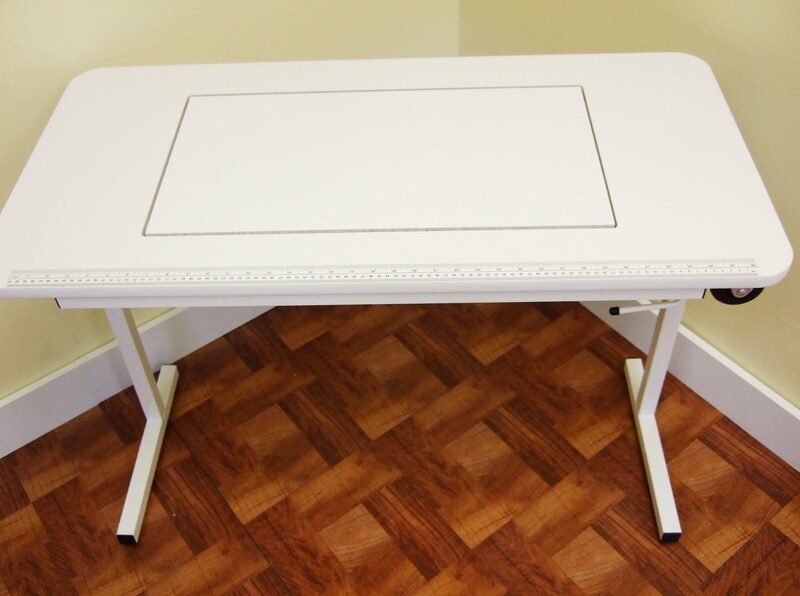 First we made the opening larger, allowing the table to hold any machine on the market. The original opening was 17" x 9" where as the new opening is 24" x 12". This also allows for a custom insert to be made to fit around the machine. 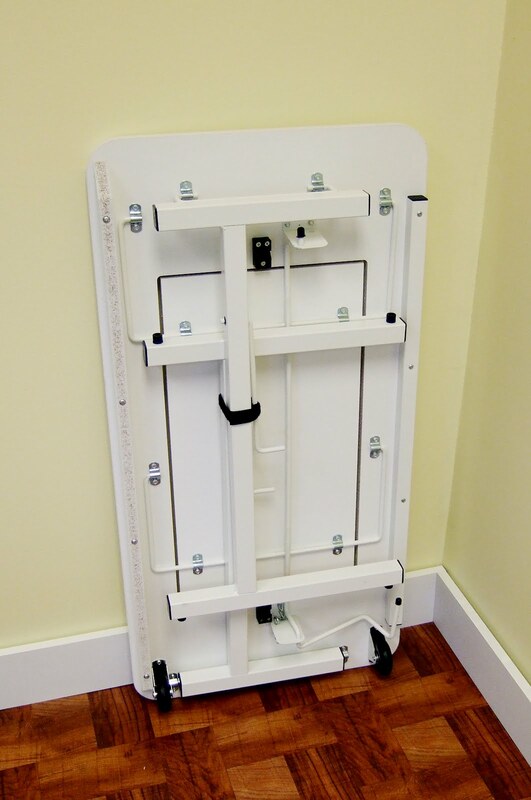 Also, because it will fit larger machines we added more support to keep the table sturdy while you put the pedal to the ground. 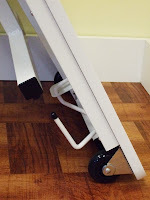 The second addition to the Gidget is the Velcro strap to hold the legs together while you carry the cabinet. Lastly, and most importantly, we attached wheels on the underneath side of the right end of the table to allow the user to simply roll the table to their next sewing location, instead of having to carry it. You would simply hold it like a piece of luggage and pull it behind you. That way if you are going to a retreat you don't have to worry about carrying your machine and table with you. And the best part about the Gidget is the low price point, $175 is all it cost to have a sturdy and durable table that allows you to sew in flatbed position. For more information check out Leah Day's blog to see it in action.